Dr. 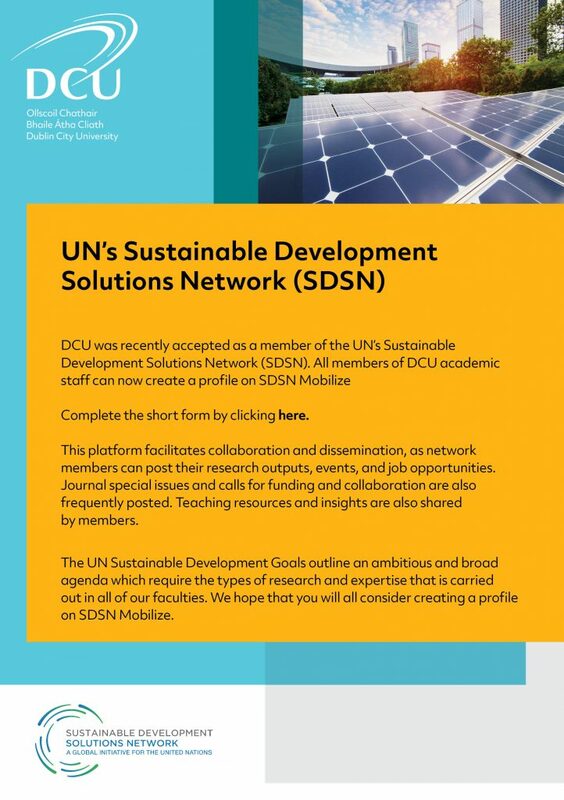 Rob Gillanders and Dr. Roisin Lyons recently made a successful application to the UN’s Sustainable Development Solutions Network and very are happy to announce that DCU is now a member. This network has a number of benefits and is devoted to leveraging academic talent and expertise in furtherance of the sustainable development agenda and goals. If you have any questions or comments relating to the SDSN please contact the local coordinators in DCU – Robert Gillanders () and Roisin Lyons (roisin.lyons@dcu.ie).